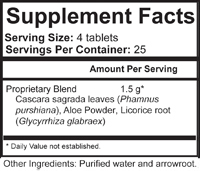 VITRATOX #19A Herbal Supplement is a blend of cascara sagrada, aloe powder, and licorice root that is intended for relief of occasional constipation. 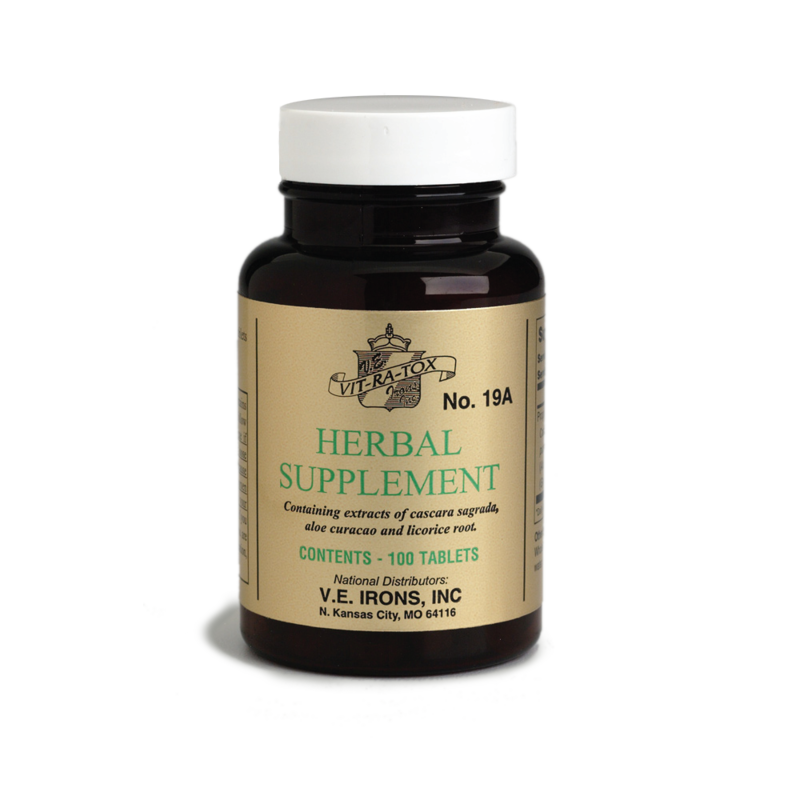 We recommend taking two #19A Herbal Supplement tablets the night before starting a 7 – Day Cleansing Program. They can also be used daily while on the Cleanse, but should not be used regularly for an extended period of time (i.e., more than one week). If symptoms of constipation persist, you should consult with your health care provider about addressing the root cause of constipation. Poor dietary choices, low fluid intake, and lack of exercise are factors that can directly contribute to constipation. Bowel regularity should be achieved and maintained through changes in lifestyle, and not through the use of laxatives. 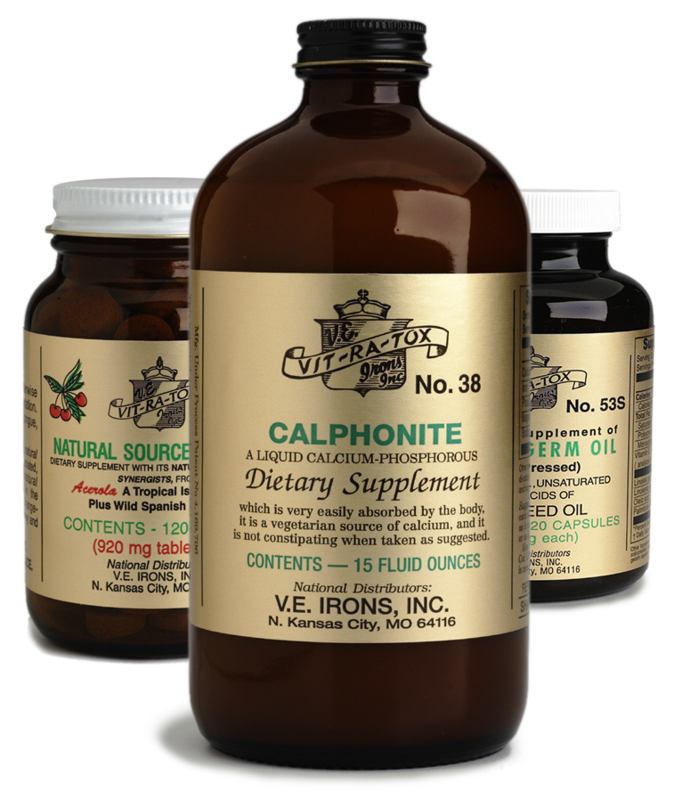 A sample of this product is included in our 7 – Day Cleansing kit. Our experience has shown that people generally get better results from the 7 – Day Cleansing Program if they take #19A Herbal Supplement with their final Cleansing Combo of the day. Directions: When taken in conjunction with the #19 Intestinal Cleanser, take 2 tablets at night with the first dose of Intestinal Cleanser and a glass of warm water upon rising in the morning. Take another tablet the second and third nights with the Intestinal Cleanser. Recommended Dosage: When taken in conjunction with the 7 – Day Cleansing Program, take up to 4 tablets the night before beginning the Cleanse, and with the final Cleansing Combo of each day. Children over 5 should receive one-half to one tablet. 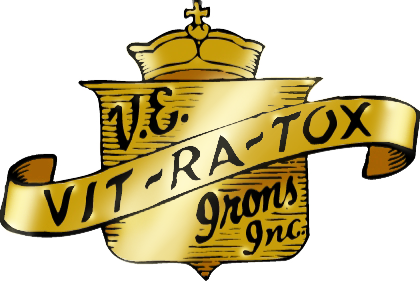 VITRATOX #19A Herbal Supplement is packaged in a recyclable shatter resistant amber bottle that ensures potency and freshness – 100 tablets per bottle.